March 21, 2019, 10:45 a.m.
By Laura Hazard Owen @laurahazardowen March 21, 2019, 10:45 a.m.
Humanitarian crisis journalism can be tough to read if you don’t have to do it for your job. And the organizations that publish it have struggled to make it work financially, even if they’re nonprofits. Humanosphere, which covered the global fight against poverty and inequality, went “on hiatus” in 2017. News Deeply cut half its sites last fall. The New Humanitarian hopes to buck that trend. TNH is the relaunch of IRIN (originally the “Integrated Regional Information Networks”), which after 19 years as part of the United Nations left in 2015 to relaunch as an independent nonprofit.1 Headquartered in Geneva, it’s hired a former New York Times executive to oversee its editorial coverage and make it appealing to a wider group of readers. And TNH’s director, Heba Aly, believes that, as the nature of international crises changes, audiences will be more compelled to consume journalism about them if only because they are more likely to be affected. In Aly’s 2019 prediction for Nieman Lab, she wrote, “Call it wishful thinking, but I see international nonprofit journalism starting to take off in 2019 the way American nonprofit news has.” Funding is even more of a challenge for international nonprofit news than it is for American nonprofit news, but TNH is seeing some success, Aly said. “Foundations that support human rights issues globally are realizing now that they can’t support human rights without somehow [addressing] all of the anti-rights messaging coming out of many corners of the world — not least the U.S.,” she said. 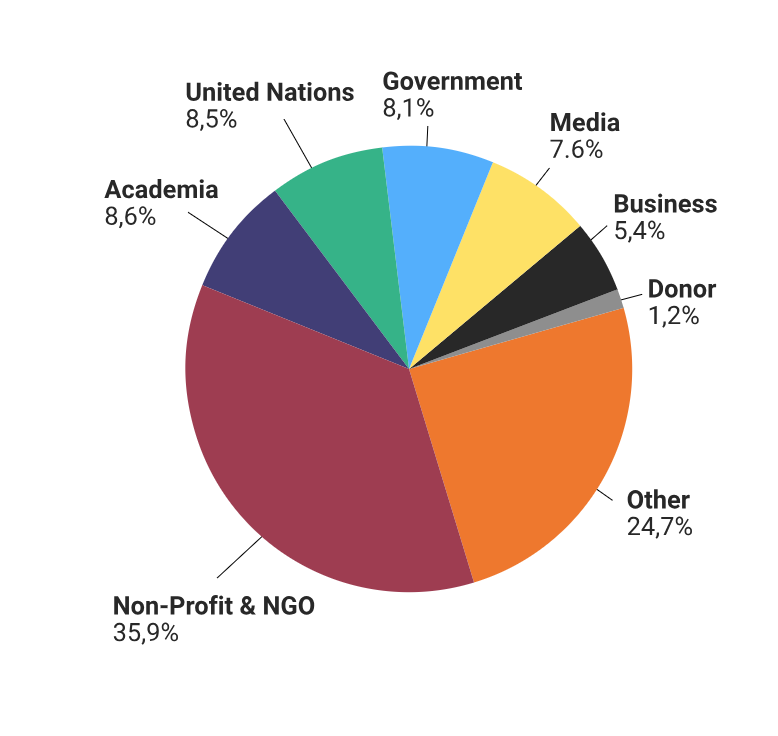 “Thinking about the information landscape in which their work takes place is increasingly important, and I do see some openings.” TNH receives about half its funding from foundations — including the Bill and Melinda Gates Foundation, Open Society Foundations, and New Venture Fund — and about half from the government aid departments of countries like Canada, Norway, and The Netherlands. The New Humanitarian gets about 170,000 unique visitors a month, but its influence extends beyond those pageviews. Its newsletter has around 40,000 subscribers, and its Twitter account has about 85,000 followers. It sees its readership as three circles (which became more clear following a 2018 audience survey). The inner circle consists of people who are working to respond to and prevent crises: policymakers and aid workers, including UN officials at headquarters or in the field and NGO workers and executives, as well as governments providing foreign aid (“the U.S. is the biggest humanitarian donor, or was”), and the governments of countries where crises are taking place (“The foreign ministers of many African countries are loyal readers”). Finally, there’s the “engaged global citizenry.” “These are people who want to donate to make the world a better place, and are trying to figure out where they should donate their money, or they’re involved in local volunteer groups in their communities,” Aly said. Historically, TNH has reached those people through the aforementioned partnerships with mainstream media publications. Over the last year, though, the organization has made it a goal to attract them as readers directly. Last year, TNH hired Josephine Schmidt as its first-ever executive editor. Schmidt had spent the bulk of her career at The New York Times, focused on developing the paper’s international edition. When she came to Geneva, “I really saw my role as helping [TNH] to continue its transformation out of the UN,” she told me. “It’s one thing to have been, basically, an internal information center for an international NGO. 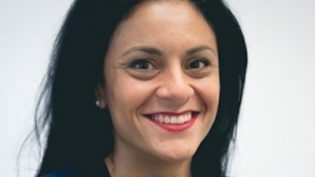 It’s another thing to become a full newsroom, and an independent newsroom at that — it’s not a switch you turn on and off.” She’s focused on making TNH’s journalism more accessible and less insider-y, beefing up its appeal to that third ring of readers while ensuring that it is still useful to the people who depend on it. Those opportunities for connection are important — because, as Schmidt pointed out, TNH’s topic matter is often tough stuff. “What we cover is, by definition, hard,” she said. “It’s emotionally difficult material. Someone responded to our newsletter on Twitter the other day, calling it the ‘Weekly Chronicle of Human Sadness.’ We can’t escape that. POSTED March 21, 2019, 10:45 a.m.
Owen, Laura Hazard. "The New Humanitarian (no longer an acronymed UN agency) wants to move humanitarian crisis journalism beyond its wonky, depressing roots." Nieman Journalism Lab. Nieman Foundation for Journalism at Harvard, 21 Mar. 2019. Web. 22 Apr. 2019. Owen, Laura Hazard. "The New Humanitarian (no longer an acronymed UN agency) wants to move humanitarian crisis journalism beyond its wonky, depressing roots." Nieman Journalism Lab. Last modified March 21, 2019. Accessed April 22, 2019. https://www.niemanlab.org/2019/03/the-new-humanitarian-no-longer-an-acronymed-un-agency-wants-to-move-humanitarian-crisis-journalism-beyond-its-wonky-depressing-roots/.